Summer means terrace season in Québec. 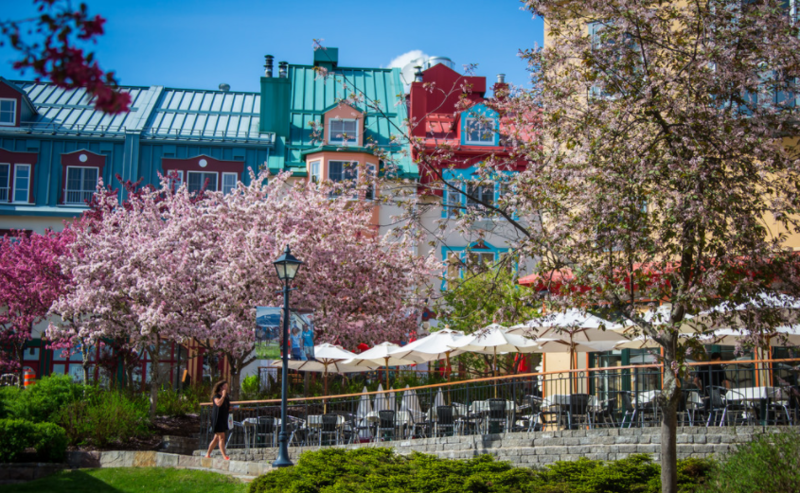 Tremblant is no exception with dozens of lively and quaint outdoor venues where you can enjoy a great variety of your favourite dishes. Even regulars and locals may discover something new in our 6 distinct sectors of our pedestrian village. 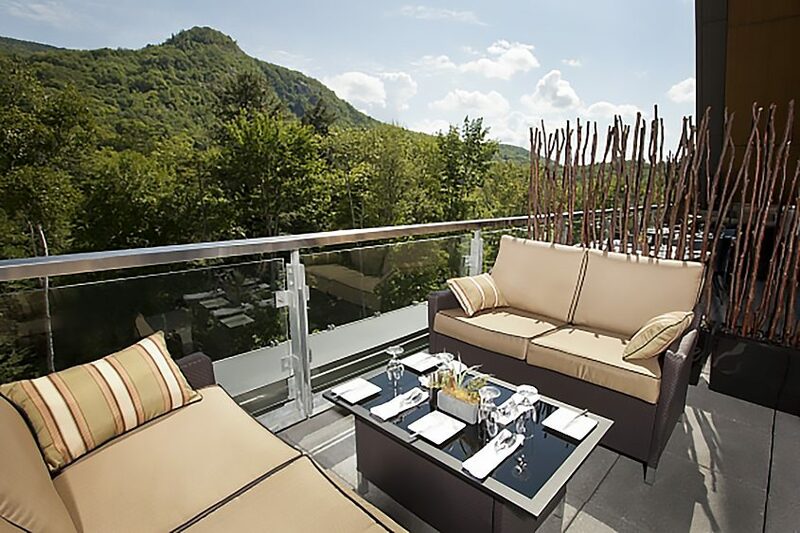 Here’s our seasonal guide to the Tremblant terraces… Enjoy ! Want a table in the middle of all the hustle and bustle? Place St-Bernard is located near the foot of the hill. It is where we enjoy live music and dancing all year round. 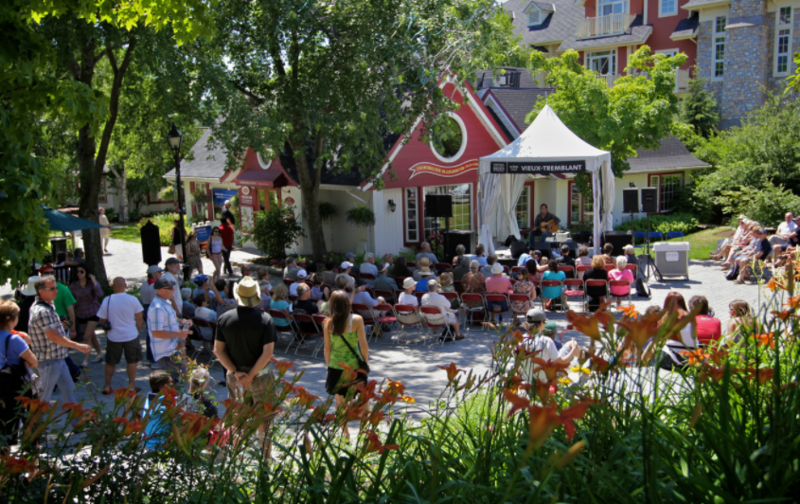 A genuine village square surrounded by colourful rooftops and a wide variety of shopping and dining venues, most with sun filled terraces and great views to the shows on the Mont-Tremblant Casino stage. 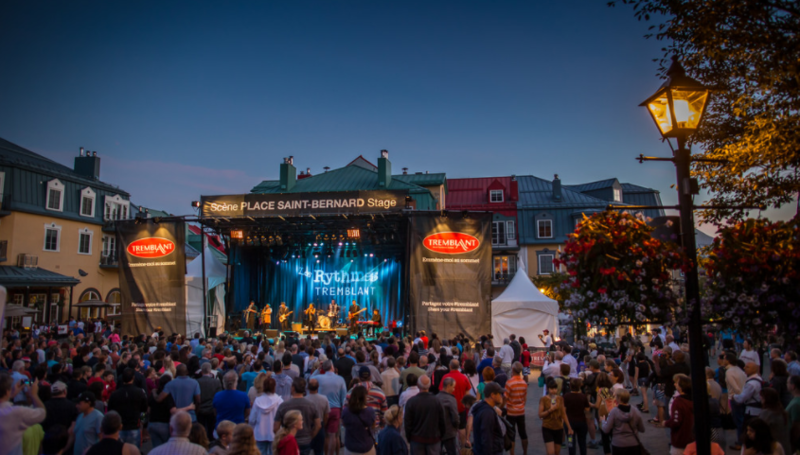 Summer is festival season in Tremblant, don’t miss out! Looking for a more intimate setting for your meal? Pass beneath the arches from the rue des Remparts and you’ll find the Promenade Deslauriers with its beautiful gardens and small wooden stage for live music during festivals. Discover talented up and coming artists in this cozy sector, which also offers a great selection of restaurants. Some may recognize the small buildings in the old sector of the village as the individual skiers’ chalets that peppered the base of the hill several years ago. These quaint structures have been transformed into local businesses of all types. Many are now specialty restaurants: French, Asian, brasserie, ice cream parlor and more, and most have their outdoor space to enjoy. The name may not ring a bell but if you’ve visited us before you have surely walked up the Rue de Remparts from the base of the village to the Place St-Bernard. 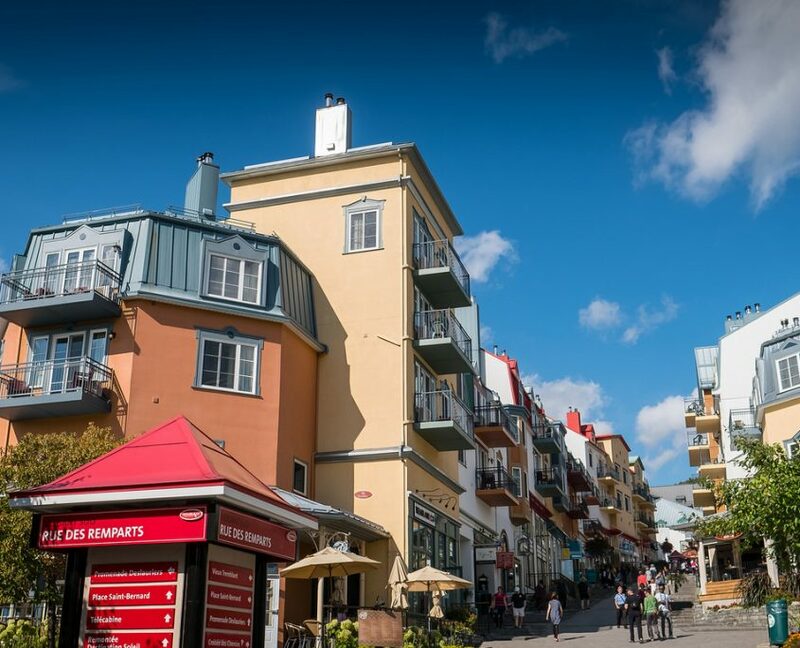 Lined with shops and restaurants, you may take much longer to make it up the hill than you planned. Charming stores will lure you with their sports and fashion clothing, art, decor and souvenirs. 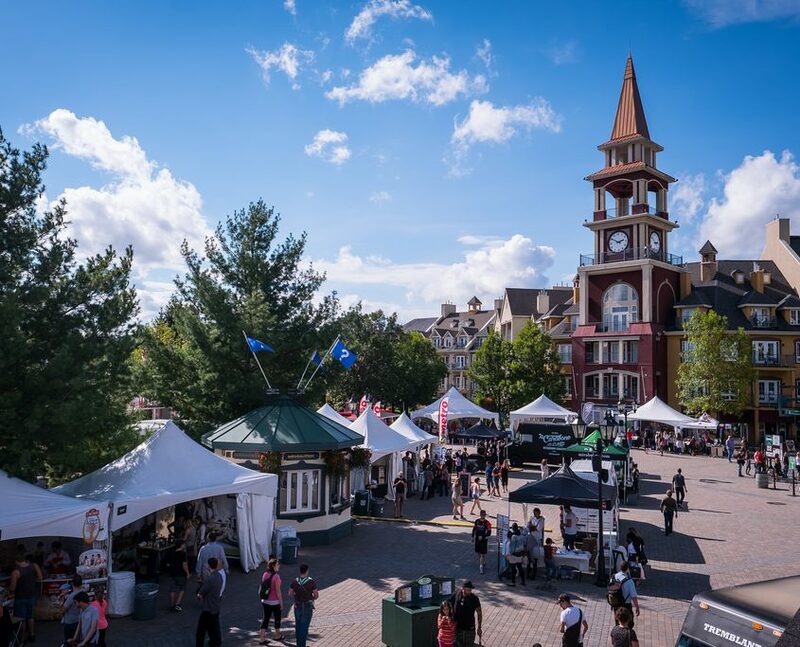 Located at the base of the village, Place de Voyageurs and its iconic tower clock greet thousands of visitors from all over the world each year. It is the starting point of many sports and cultural festivals and a popular meeting spot. This sector also offers a small variety of dining and outdoor venues to enjoy. A visit to Tremblant would not be complete without a stop on the Versant soleil. 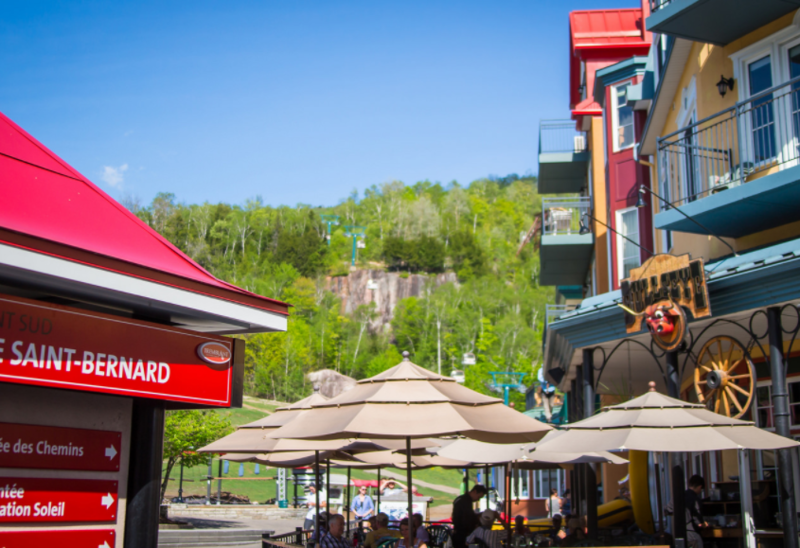 No need to drive since local transportation or a panoramic gondola will take you door to door so you can enjoy the fabulous menu at the Altitude Seafood and Grill within the Casino Mont-Tremblant. 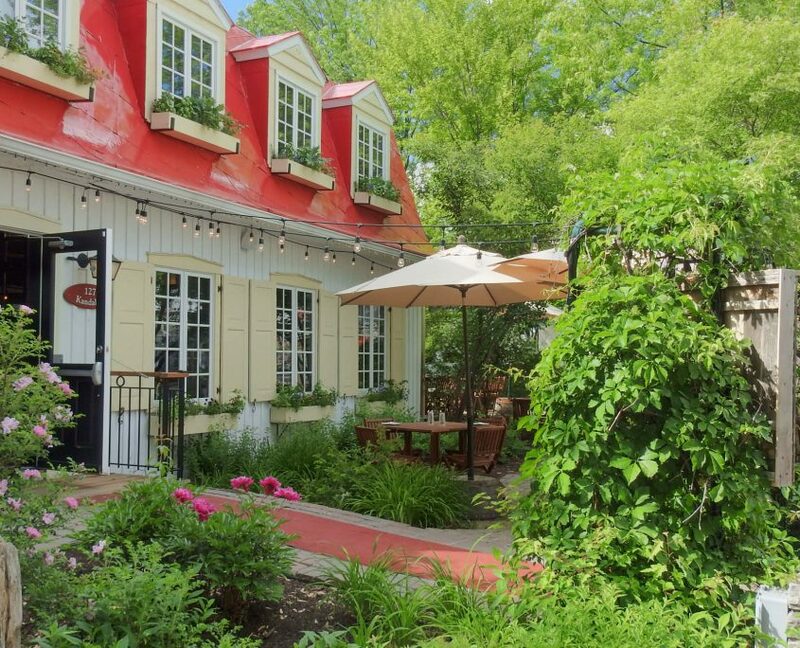 This top-notch restaurant also features an outdoor terrace with a great view on the Soleil side of mont Tremblant. You’ve guessed it… We LOVE eating outdoors! We hope you do too.